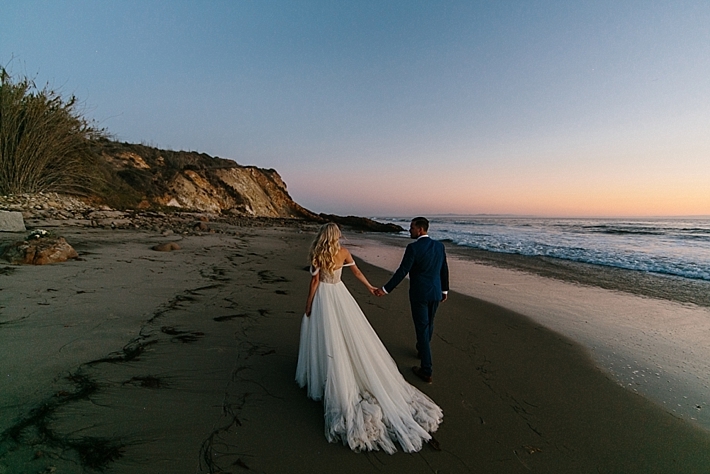 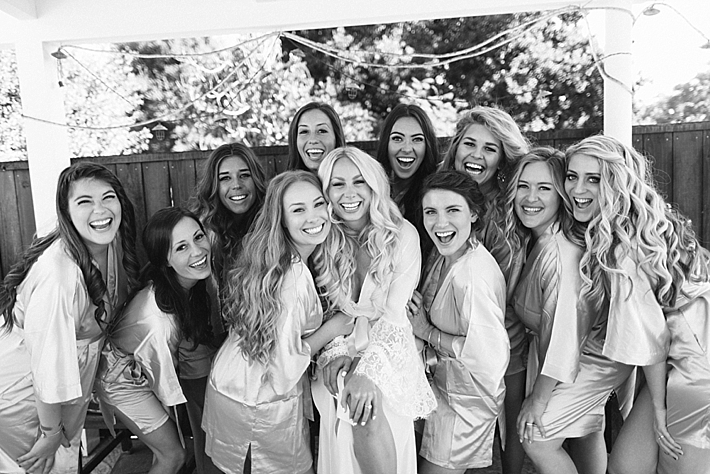 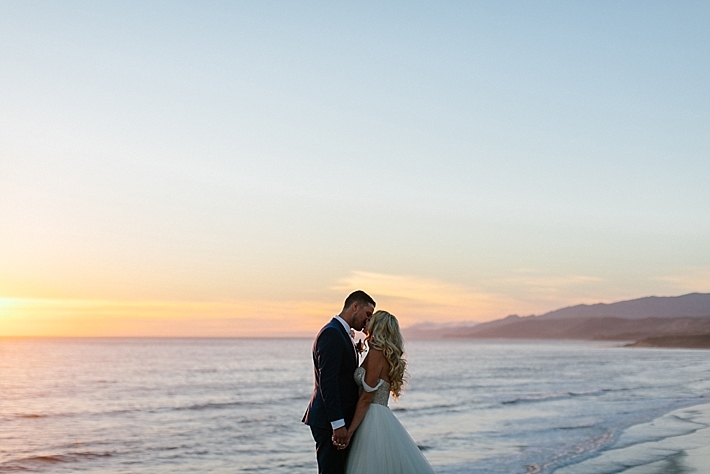 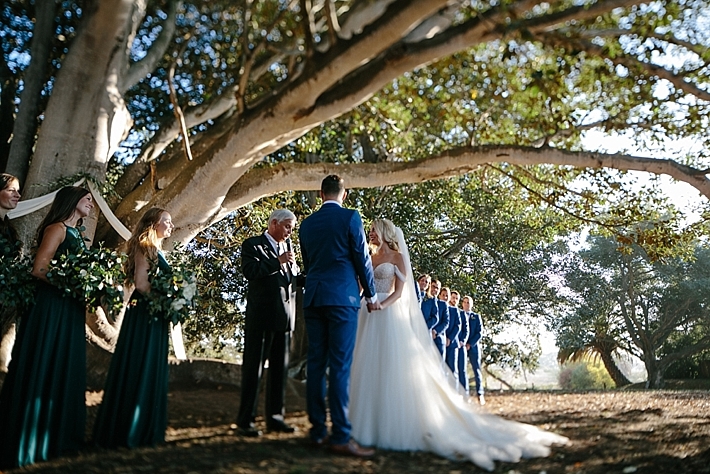 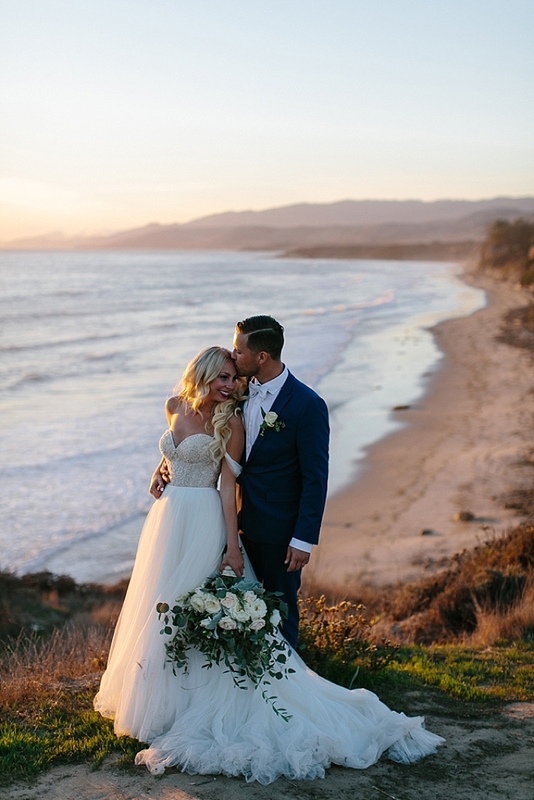 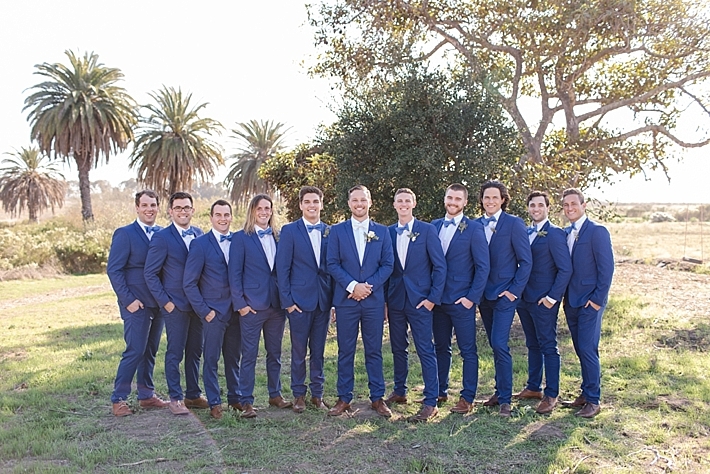 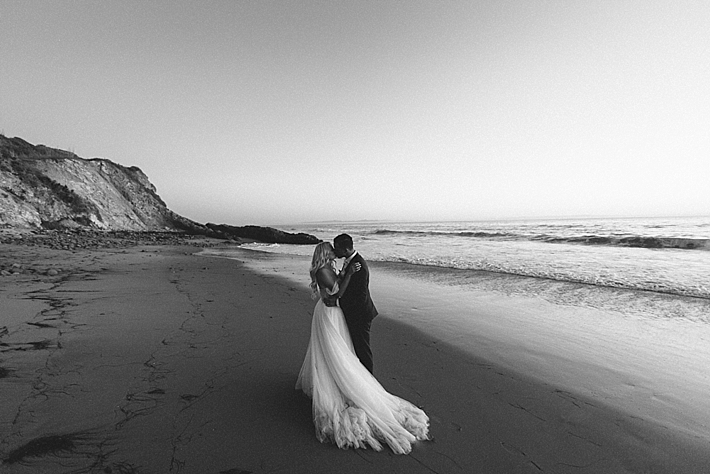 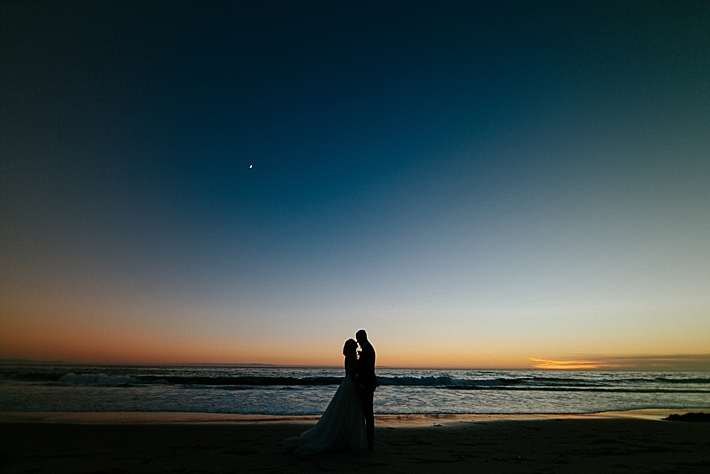 "Katelin Event Productions draws inspiration from the ocean, so it was only fitting that Santa Barbara’s coastal beauty set the stage for Andrew and Shayna’s wedding. 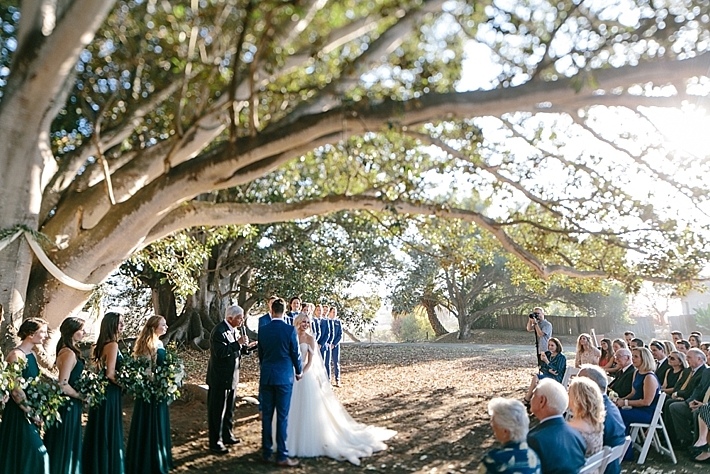 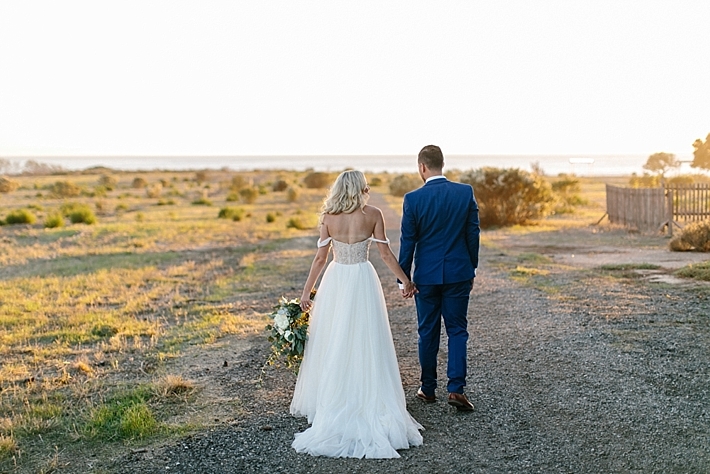 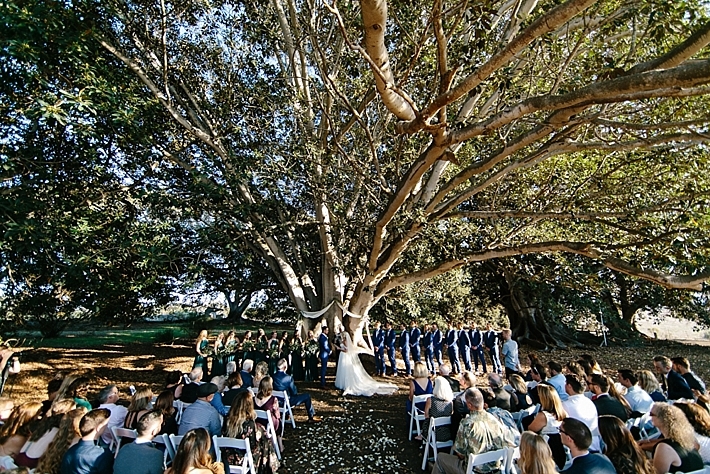 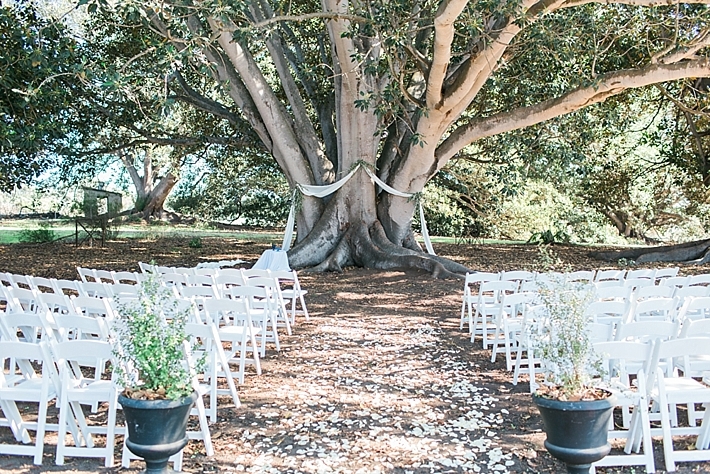 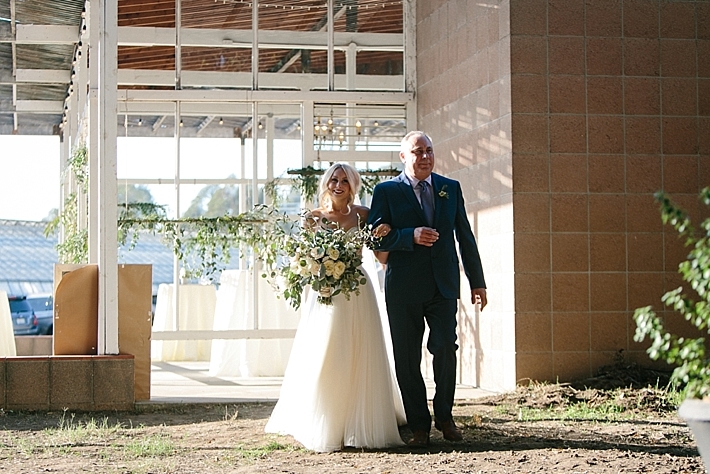 The two were married at the Dos Pueblos Greenhouse in a heartfelt ceremony, exchanging vows under an oak tree as an ocean breeze ruffled the branches. 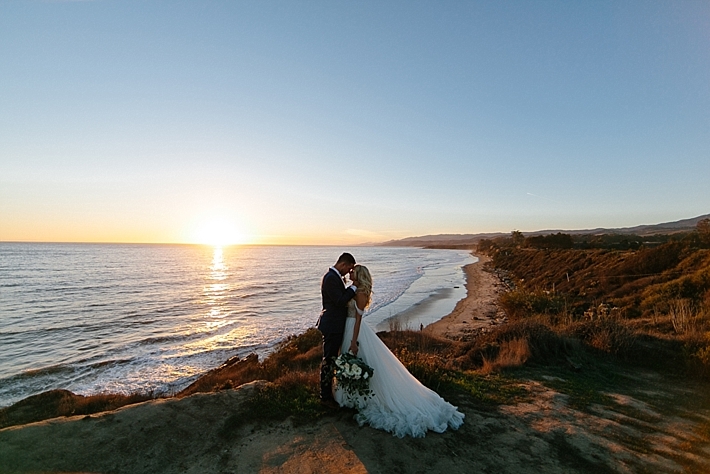 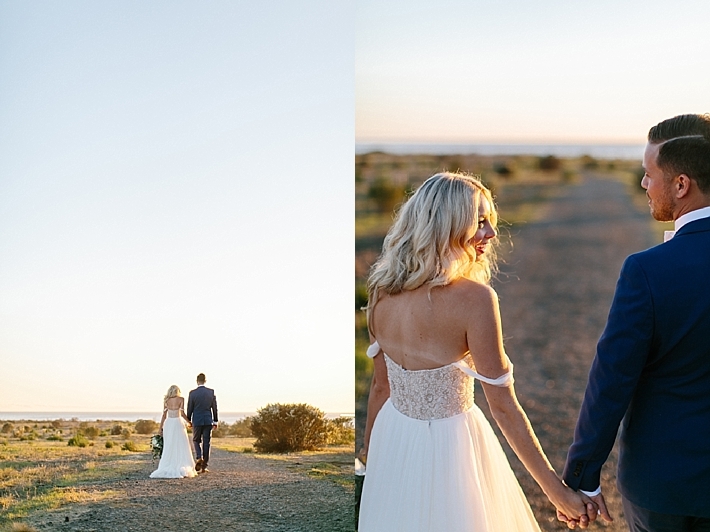 Following the ceremony the bride and groom slipped away to capture sunset photos on the bluffs. 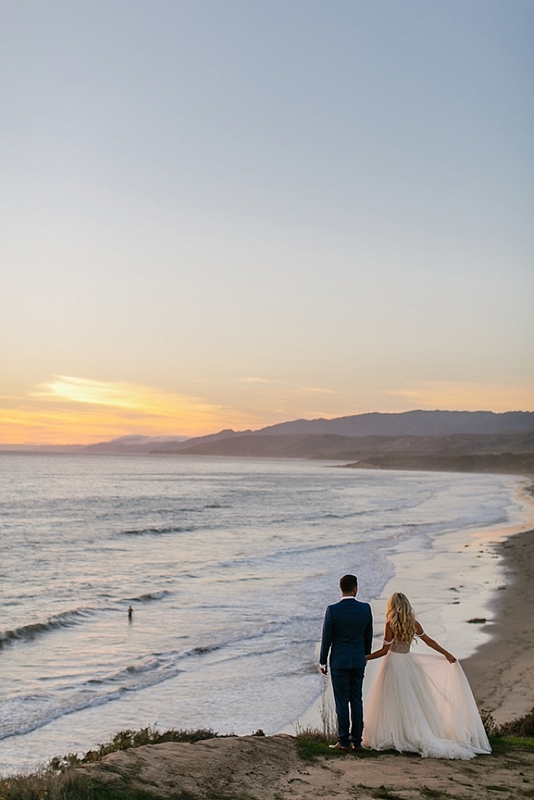 As guests sipped signature cocktails, Shayna and Andrew enjoyed a view for miles down the California coast. 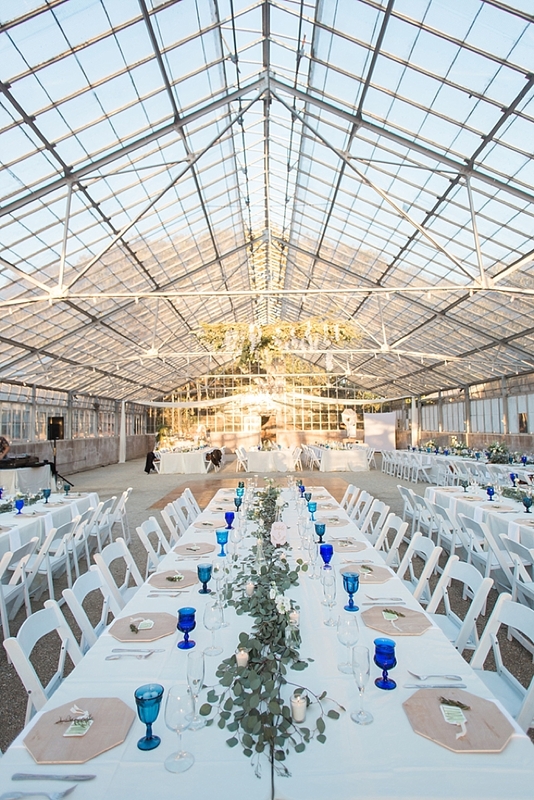 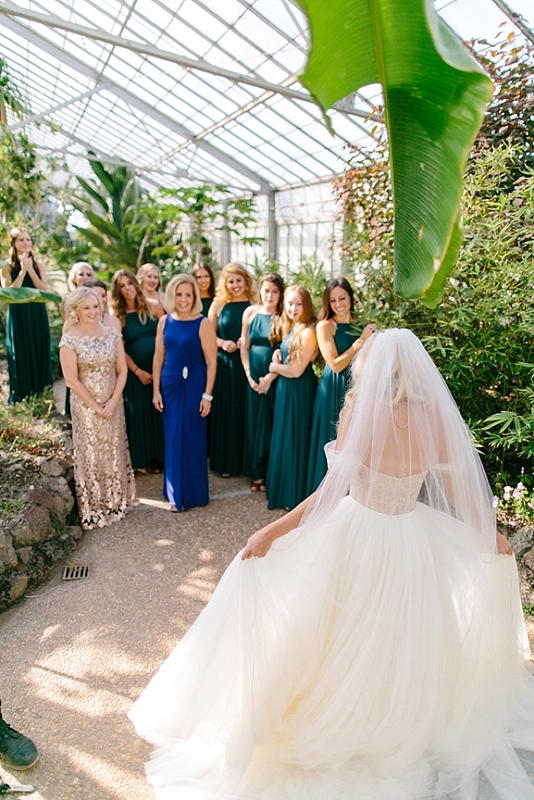 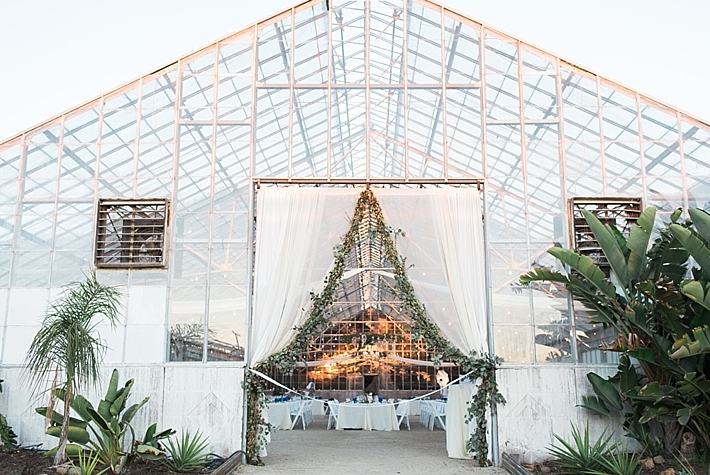 The newlyweds celebrated with family and friends inside a live greenhouse where succulents grew wild and a fountain echoed in the background. 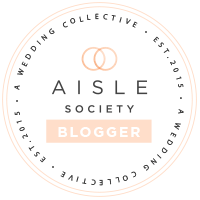 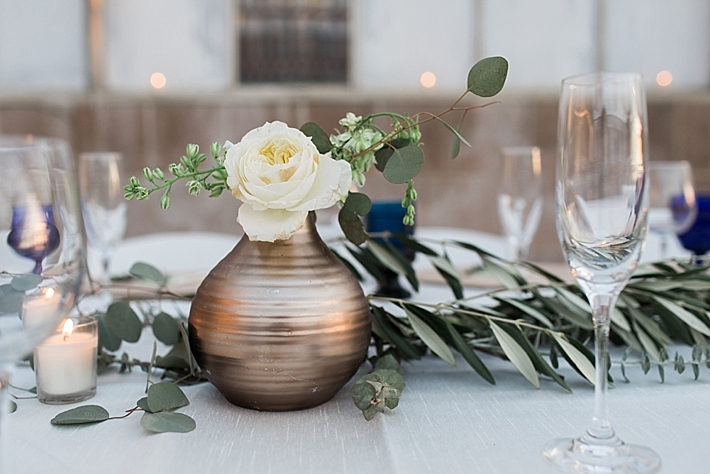 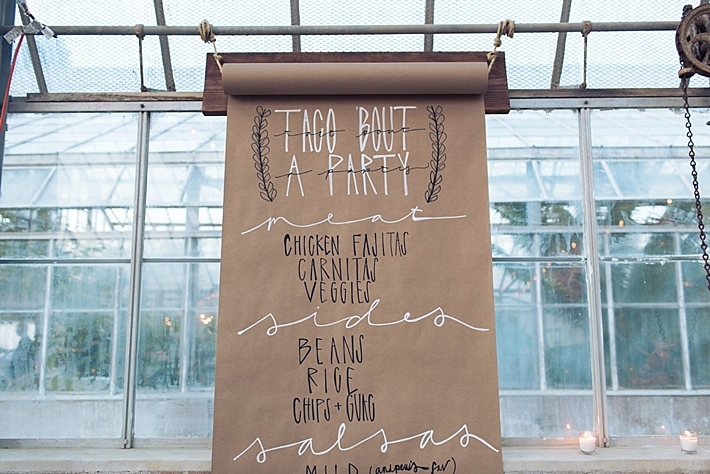 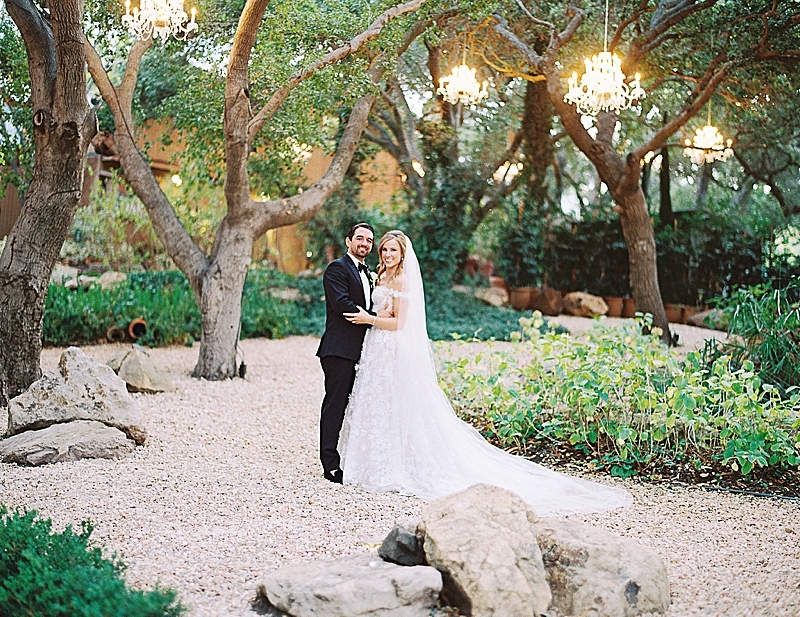 True to Shayna and Andrew’s style, we kept the décor simple and timeless. 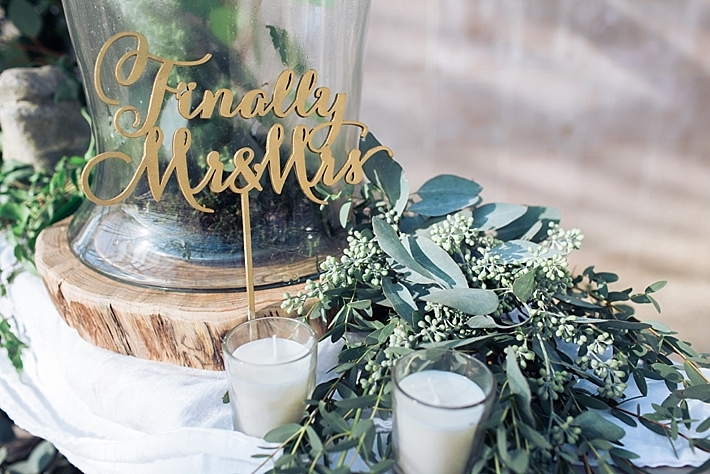 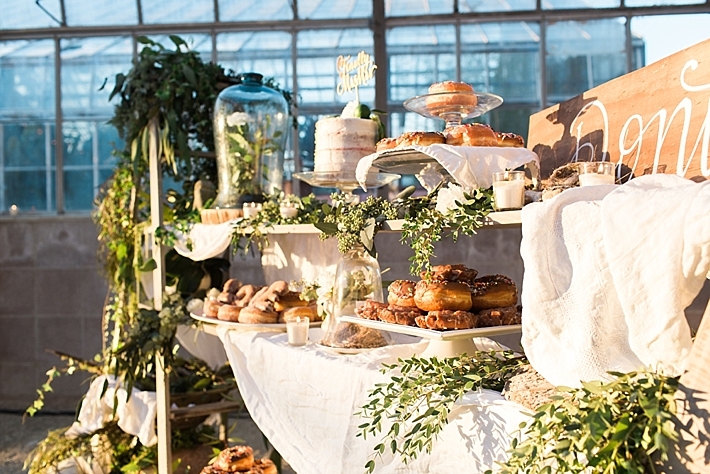 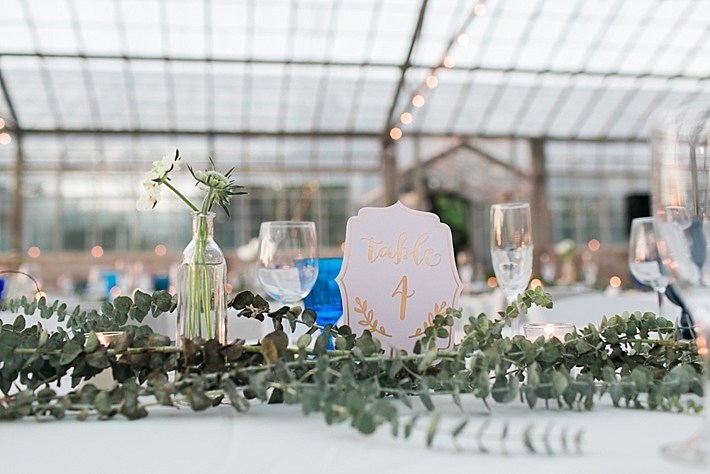 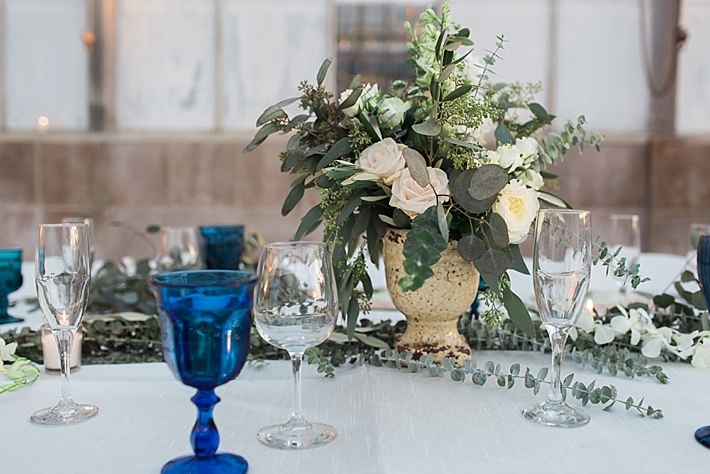 We chose greenery and eucalyptus garlands as table accents and hung florals and chiffon above the long tables. 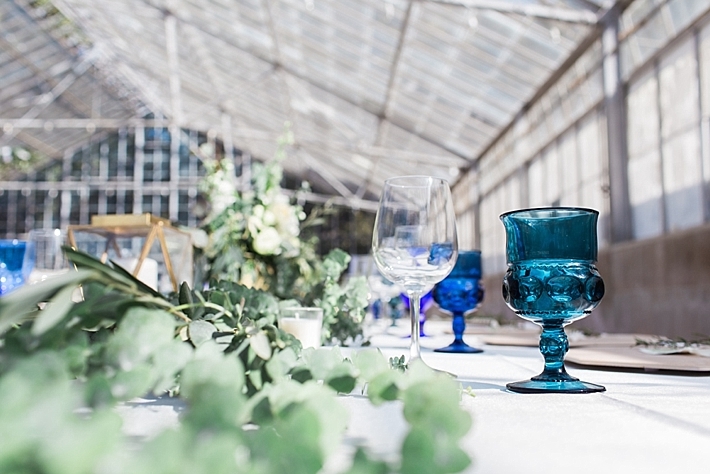 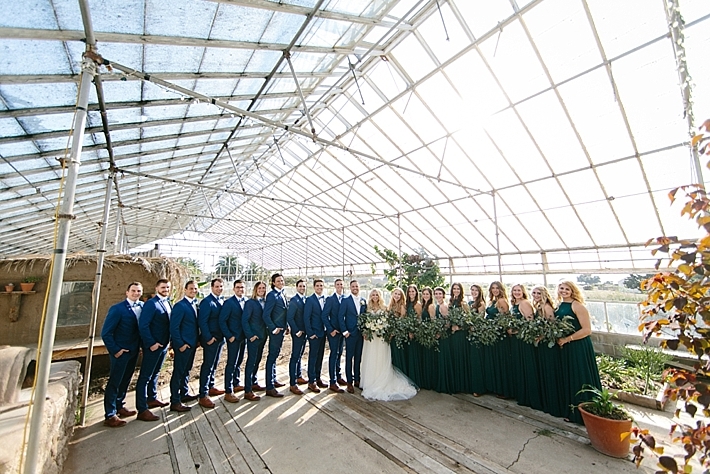 Deep blues and greens reflected the natural beauty of the venue, and evening light washed everything in gold. 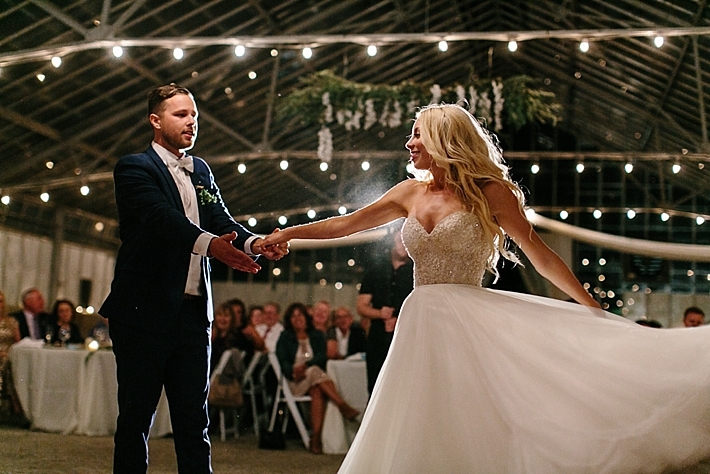 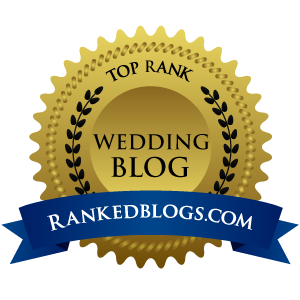 We loved how Shayna and Andrew oriented the celebration around their community. 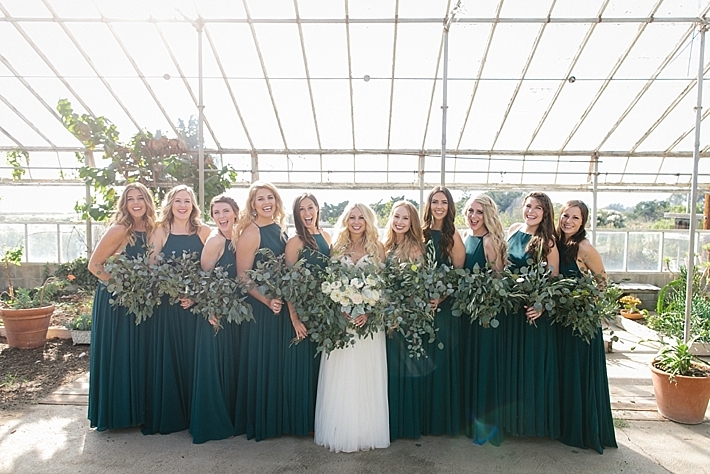 They asked guests to sign a huge wine bottle, reflecting the couple’s love of wine tasting, and gave a speech thanking their friends and family. 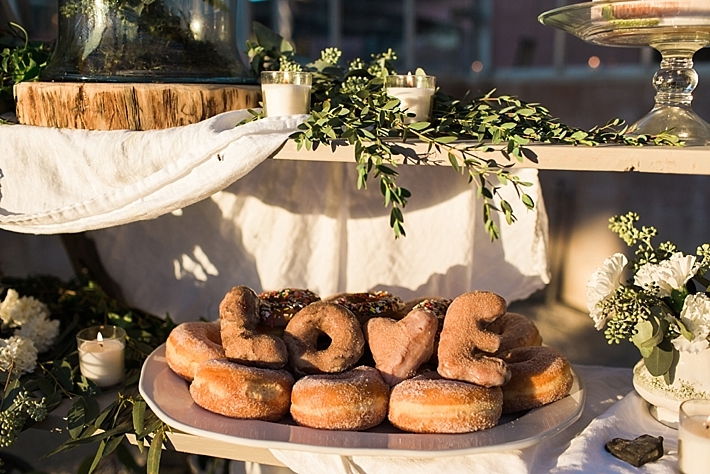 A handmade bar held piles of donuts that spelled LOVE. 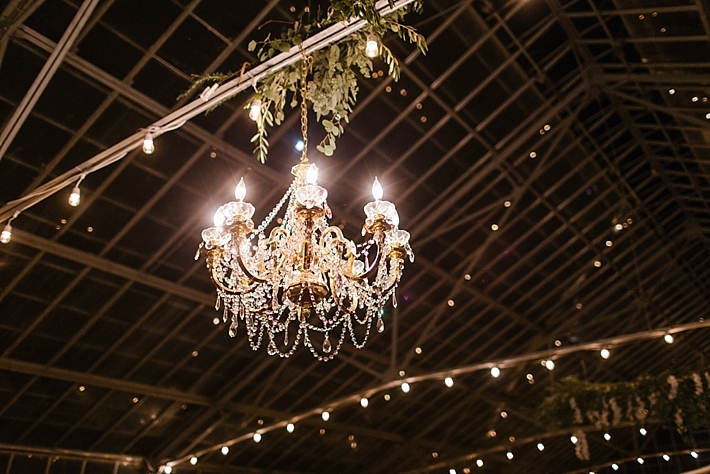 As the night wore on DJ Griff kept everyone dancing under a sparkling chandelier and the starry sky, visible through the greenhouse roof. 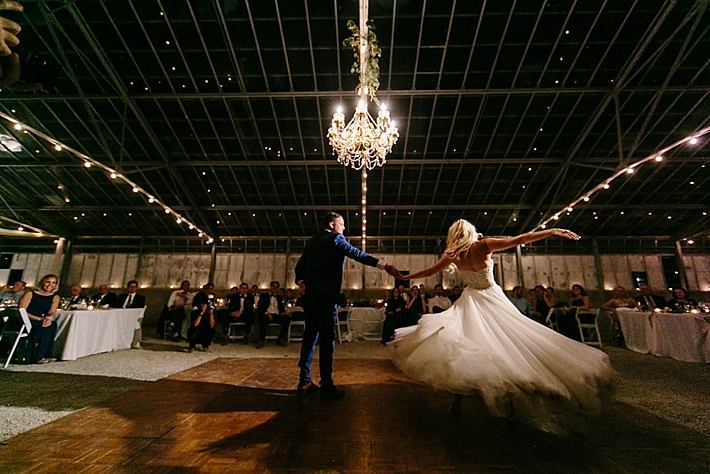 Guests surrounded the couple with sparkers as they headed to their getaway car, creating a memorable and magical exit. 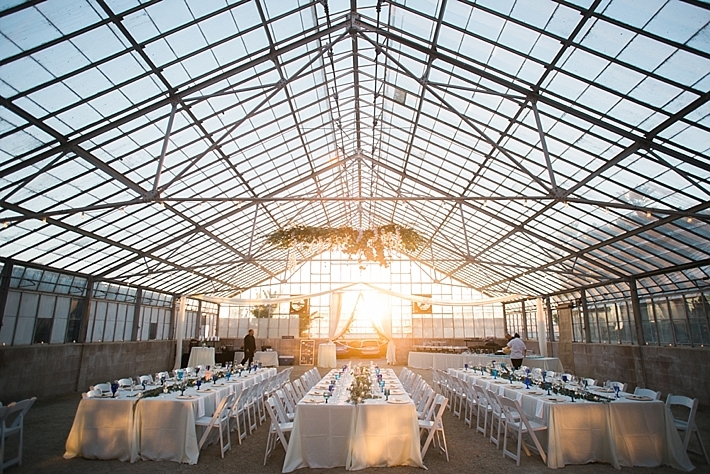 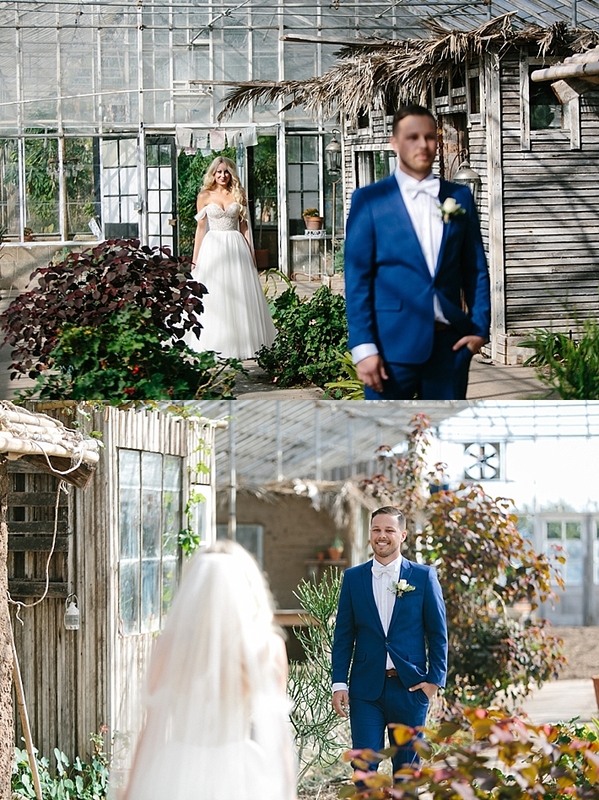 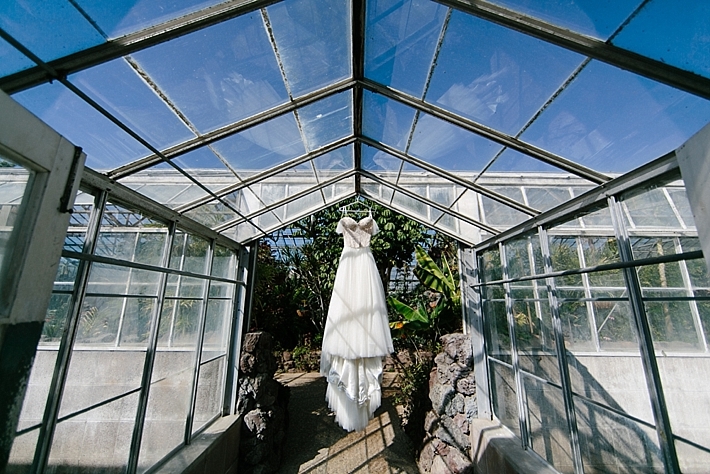 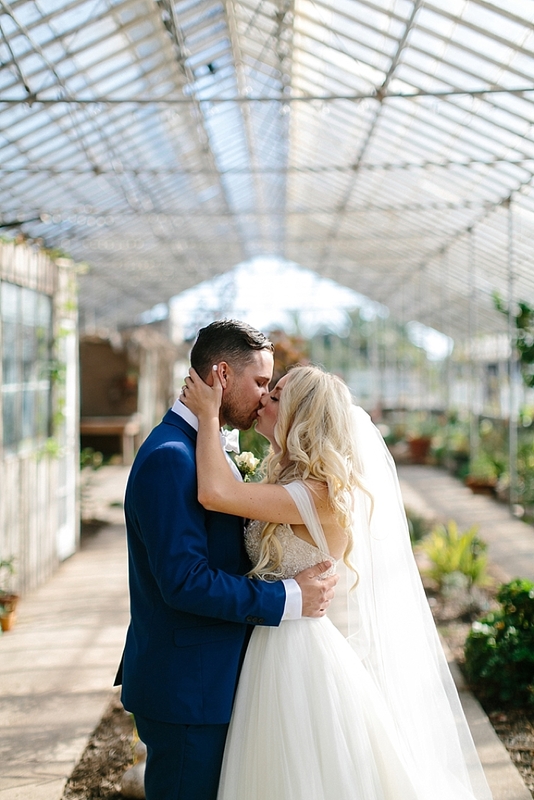 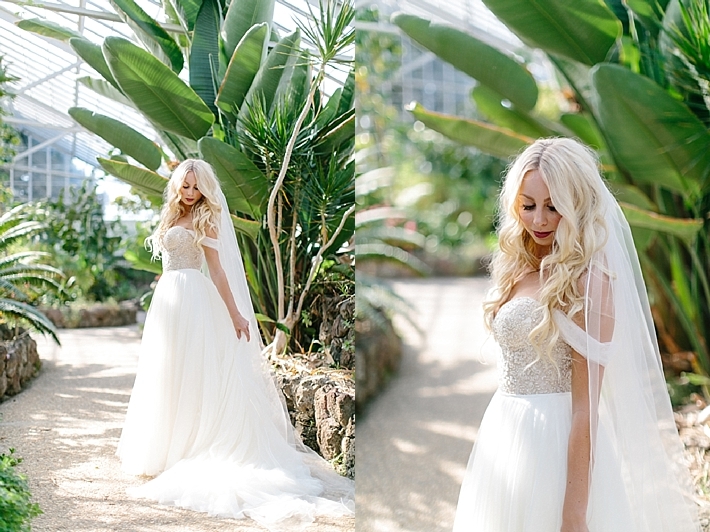 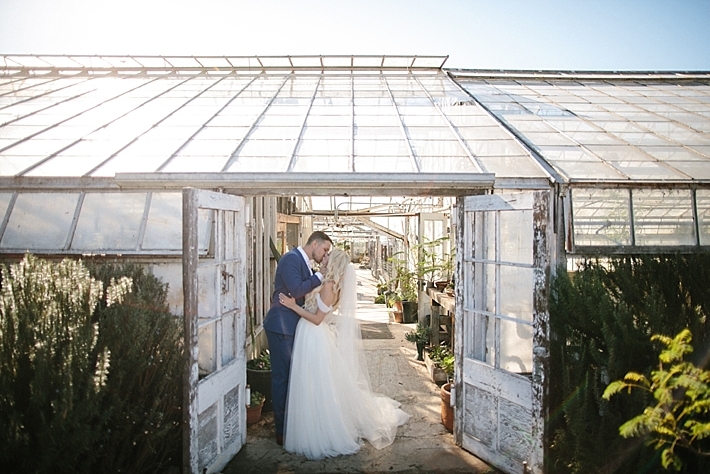 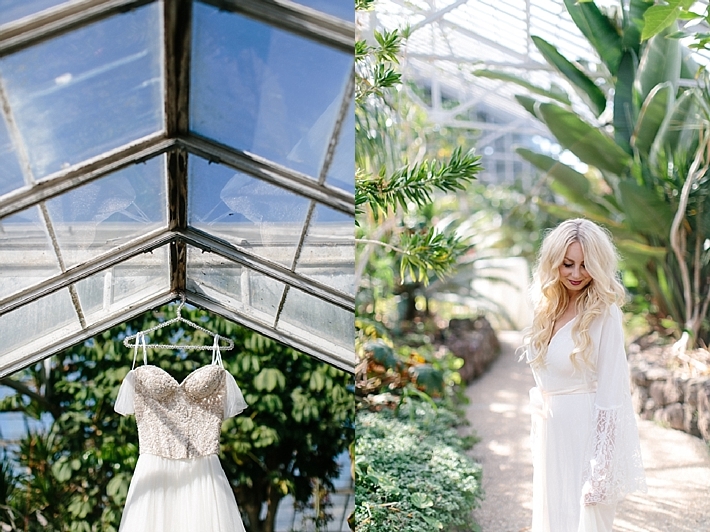 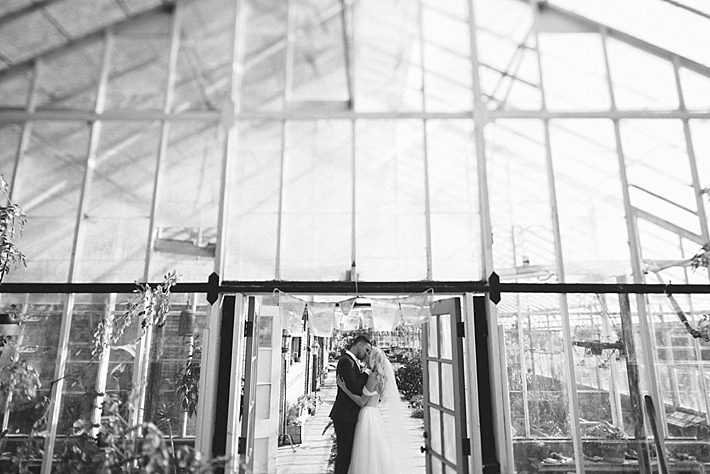 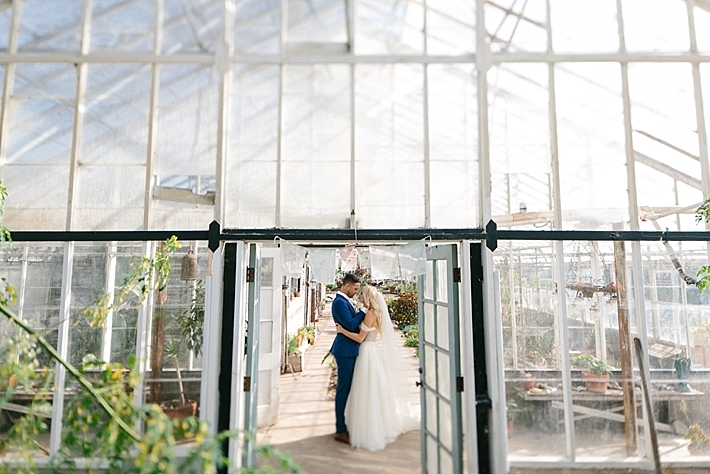 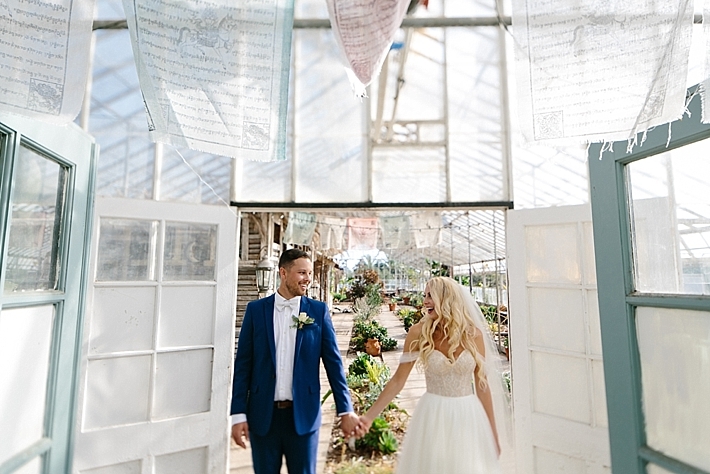 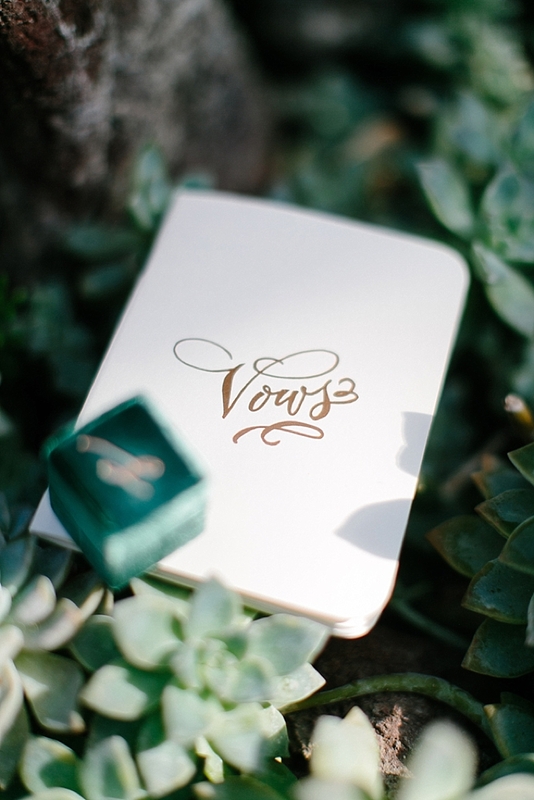 Shayna and Andrew’s personalities were captured perfectly in the natural beauty of Dos Pueblos Greenhouse and in the event’s meaningful details. "